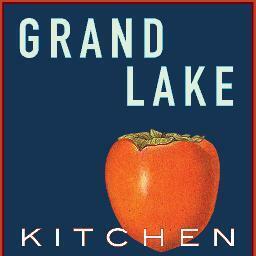 Grand Lake Kitchen is a perfect place for a weekend brunch. Or should I say the menu is perfect, the long wait and crowded small atmosphere is far from perfect. But you can order to go over the phone 15 minutes ahead of time, pick up your food and sit right there on Lake Merritt at one of the benches or in the grass. It’s actually rather funny when you see a large amount of people all waiting for countless minutes to get one of the very few crowded tables available when the amazing lake is a stones throw away. 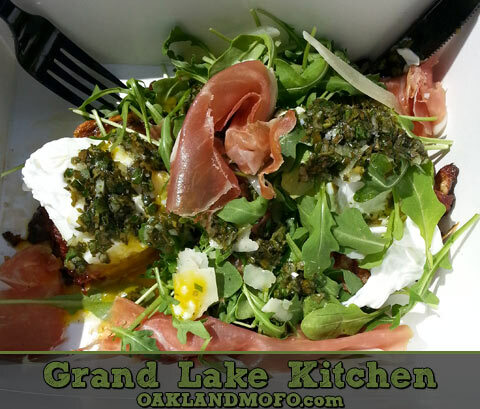 I highly recommend trying Grand Lake Kitchen and my favorite dish would be the Savory French Toast, add Prosciutto pictured below. While it may be a bit expensive, it’s OK to do it once in a while. Especially if the weather is perfect and you want to sit outside. For dinner you can grab something like an Italian sandwich or an open faced smoked salmon sandwich. They even have an Obama Llama for vegetarian options as well. So close to the Lake you can eat there. Phone in pick up orders.